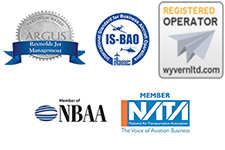 The B Corp certification and assessment is an invaluable tool for us at Reynolds Jet. We use it as a regular health check-up to see how are we doing and monitor our progress of improvements in the five categories of; Governance, Workers, Customers, Community and Environment. In the environmental category, Reynolds Jet has teamed up with CarbonFund.org. They are leading the fight against global warming, by making it easy and affordable for anyone – individual, business or organization – to reduce and offset their climate. Carbonfund.org supports three types of carbon offset projects, all of which are third-party certified to meet the same high standards to ensure quality environmental protection. These projects are Energy Efficiency, Forestry or Renewable Energy. In partnership with the Carbonfund.org, Reynolds Jet donates thousands of dollars to the Truck Stop Electrification Project, under the Energy Efficiency project to offset the emissions from private jet flights, not only from aircraft under Reynolds Jet management, but also the private jets for rent under the charter services and all aspects of our operations; from building efficiency to commuting to work. Investing in a project helping the transportation industry throughout the US, has the environmental benefits of mitigating climate change, reducing localized air and noise pollution, and reduces the fuel usage and the environmental harm caused by fossil fuel extraction. Project Description: The Truck Stop Electrification Projects reduce tailpipe emissions from freight trucks that transport our consumer goods all across the country. Long haul truck drivers idle their trucks to heat or cool their cab and to power on-board appliances during the federally mandated 10-hour rest period for every 11 hours on the road. Engine idling creates poor resting conditions for the driver and fosters unhealthy conditions since a large number of trucks idle in close proximity. Idling also consumes fuel while moving no product, reduces engine life, and requires frequent engine maintenance. With this project, drivers can shut off their engines and utilize the advanced truck stop electrification technology. The system consists of an in-cab service module connected via a flexible hose to an efficient external unit that heats, cools, and powers the interior of the truck, and lets the driver run the radio and check email without forcing the engine to burn diesel while saving about a gallon of fuel per hour.